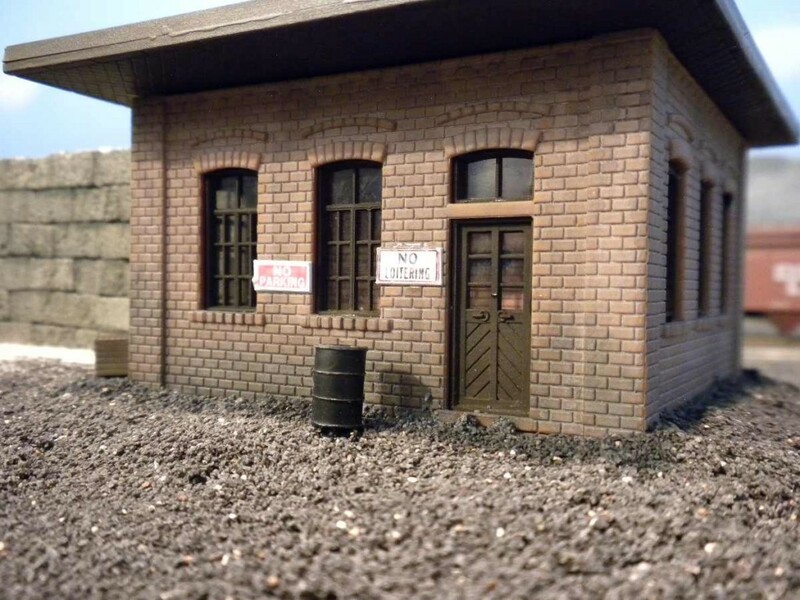 The sand drying house is a kitbash of a welding shop. The sand bunker is made of individual foam blocks. This Potter’s Pond behind the roundhouse a features hand made cat tails. 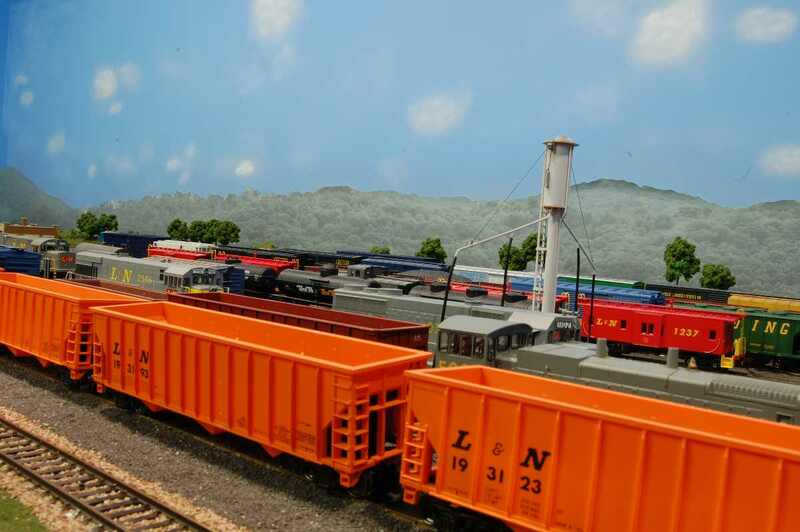 It is named after a dear friend model railroader that passed away. Here’s a view of the sand tower. 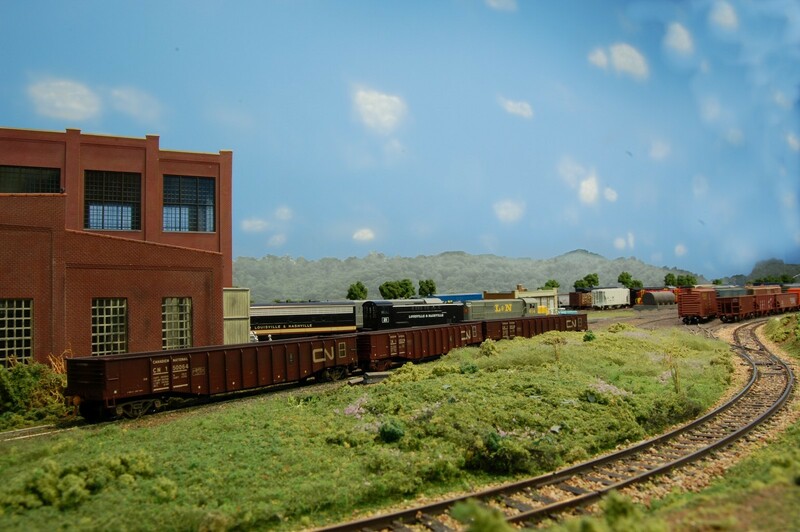 This picture was taken by my friend Bob W. with some of his CN gons on a siding. Here’s a view looking into the roundhouse and back shop. Another view of the roundhouse. The darker colored stone around the perimeter of the sand house makes it look like it definitely does not get affected by the weather elements. 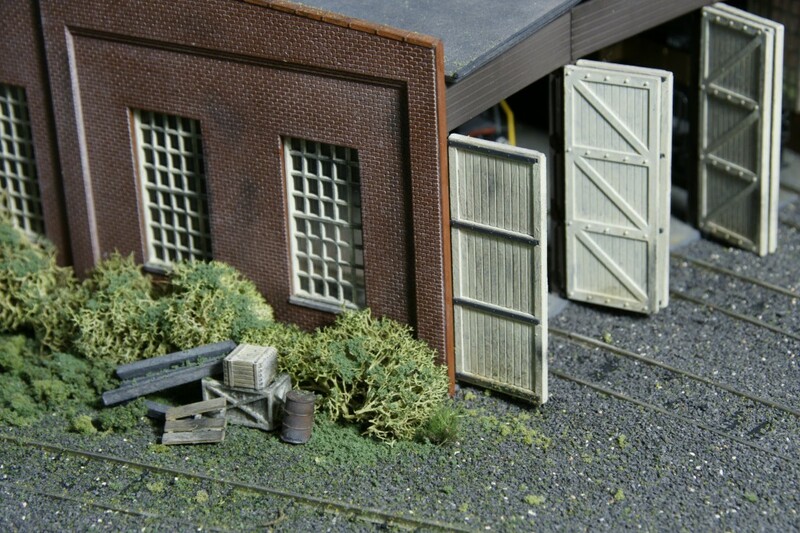 Also, the ballast the nearly covers some of the rail at the roundhouse scene makes it look very authentic.